The above named examination was conducted on 01 May 2014 & 02 May 2014 across 52 centres among 29 districts of Karnataka. Short-listing of the candidates will be done on the basis of obtained merit and rank in Karnataka CET 2014. Exam’s Answer keys was available on the official website of KEA. The Karnataka CET Results 2014 has declared on 27 May 2014 by Karnataka Examination Authority (KEA). 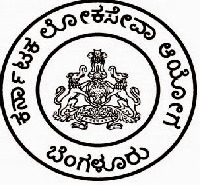 Complete result is published on the official website of the Authority or Click to the mentioned link, https://www.jagranjosh.com/results/2014-karnataka-cet-56934 to get the complete details. Fill the mandatory information such as Karnataka CET Roll number or Registration number to check the result details. To get admission in different professional courses, the examination was organized from many years. These courses are delivered by various private aided, government, and private unaided colleges established in Karnataka State. Students who have passed the intermediate or equivalent form state board or central board are eligible for the Karnataka CET Exam. The result of Karnataka CET is announced and now students can apply for desirable courses & colleges.